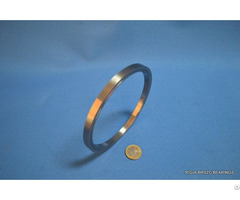 Structure:inner ring separable, outer ring integrated, no gear teeth. 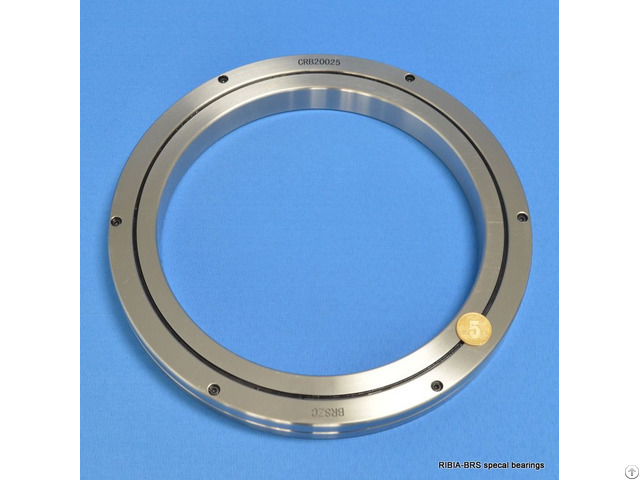 BRS High Precision Cross Roller Bearing IKO CRB seriesCRB Series bearing belongs to high precision cross roller bearings. Its cylindrical rollers are placed in a 90°V groove, with each roller arranged in cross-shape with the adjacent one, and separated from each other by a spacer retainer. 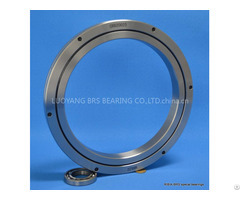 BRS High Precision Cross Roller Bearing IKO CRB series‘outer rings are designed to be separable, and fixed by screw. 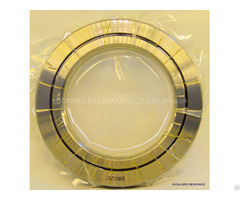 BRS High Precision Cross Roller Bearing IKO CRB series Features: Sustain radial, axial and moment loads2. Make the best use of space 3. Stable Rotation and high rigidity & running accuracy supplied with normal clearance, little clearance or Even under a pre-load. Applications:IKO CRB series cross roller bearings are specially suitable for the applications where space is limited, while high rigidity and high rotation accuracy are required. Such as joints and swiveling units of industrial robots, swiveling tables of machining centers, rotary units of manipulators, precision rotary tables, medical equipment, measuring instruments and IC manufacturing machines.